Rubber Room Ramblings: BUILD A CUPCAKE PUNCH WITH POMPOM TRIM! I love this card! It is such a happy card filled with favorites. Really, who doesn't love cupcakes? AND who can resist the pretty Melon Mambo Paper? This is a card my dear friend, Denise made when we got together to share a little rubber time! Thanks so much, Denise, I love this card! 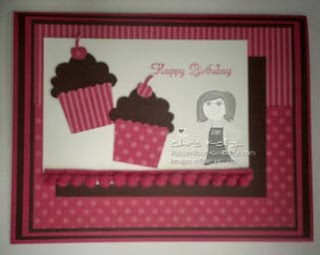 Want to make this fun little card? 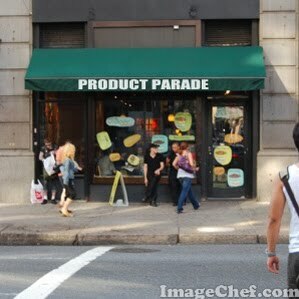 Check out the "Product Parade" here! Check your stamping supply and then CLICK HERE to place your order for whatever you need!